If it's possible to "pig out" on a veggie, this is what should be pigged out on. I, like most normal people, HATED brussel sprouts. Steamed bitter little bites of torture that you needed a pound of cheese just to stomach. These oven roasted beauties are just as the title indicates - bodacious. So, if you've read any of my other blog posts you may have noticed that I am, if nothing else, frugal. I don't turn my stove on during the week because energy costs are higher and I pinch absolutely every penny in our family budget. The toaster oven is my go-to for most meals during the week. Apple crisp, potatoes, veggies - all baked in the toaster oven. Last night we had a "Southern meal" and I cooked the biscuits in a frying pan so I didn't have to turn the stove on. I'm serious about saving money. The point is, if you have a toaster oven find a pan that will fit in there so you can save on energy costs. It's really senseless to turn the oven on for one small dish. If you don't have a toaster oven, maybe whip up something else that needs to go in the oven so you're using it for more than one thing. I power bake on the weekends, picking one day to keep the stove on and make all my yummy food that needs the big stove - pizza, lasagna, cookies, etc. If you want to turn your stove on, knock yourself out, I just like sharing my money saving tips and I'm also very bossy. Cut the bottoms of the sprouts off and slice each one in half. Place in your baking pan (I used 7x11) and drizzle with oil. You really don't need more than 1tbsp - don't negate the nutritional value of veggies by drowning them in oil. Coat brussel sprouts in oil (just use a spatula and "mix" it) and pop into the oven for 15 minutes. Turn the sprouts over and pop back into oven for 15 minutes. While the sprouts are cooking for their second round of 15 minutes, get a pan of raw hazelnuts ready. If you don't have hazelnuts grab almonds or cashews. Really, though, if you're going grocery shopping - just get hazelnuts. They are so good in this dish. 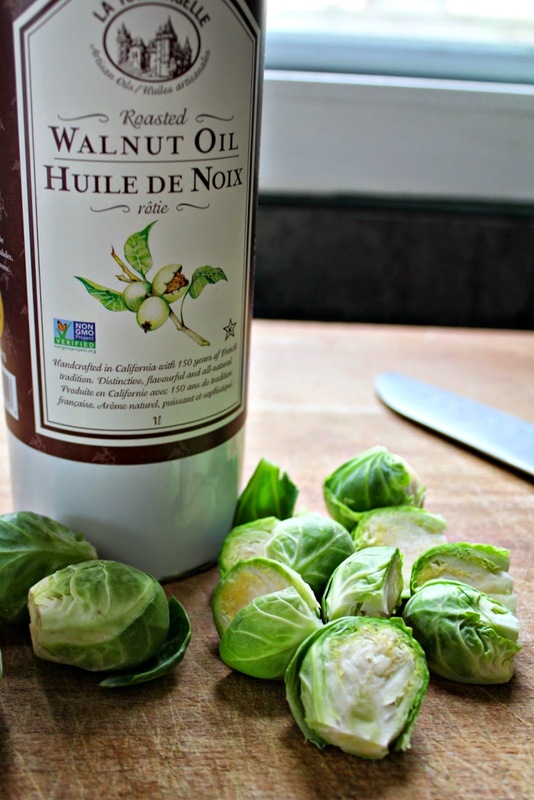 Before roasting nuts, pull sprouts out and drizzle with 1tbsp maple syrup (REAL stuff) - 2 tbsp max. You don't want it too sweet. Pop the tray of hazelnuts on TOP of the sprouts and put them both back in the oven. Set the timer for 10 minutes. You will smell these roasting and you will want to eat the whole tray. Resist. Or make extra. I make extra because the kids smell them roasting and stand in the kitchen waiting to eat them. 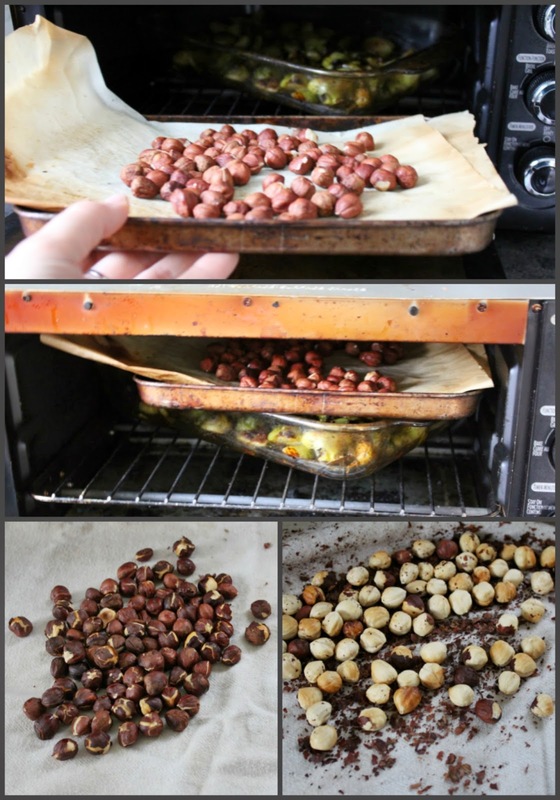 After 10 minutes are up, turn toaster oven off and leave the sprouts inside to stay warm while you prep nuts. Once the hazelnuts are roasted, simply rub them in a dishtowel to get the skins off. A little tip from Oh She Glows. I shake the towel outside afterwards and my chickens love the skins! If you don't have chickens I'm sure birds and squirrels will enjoy them. 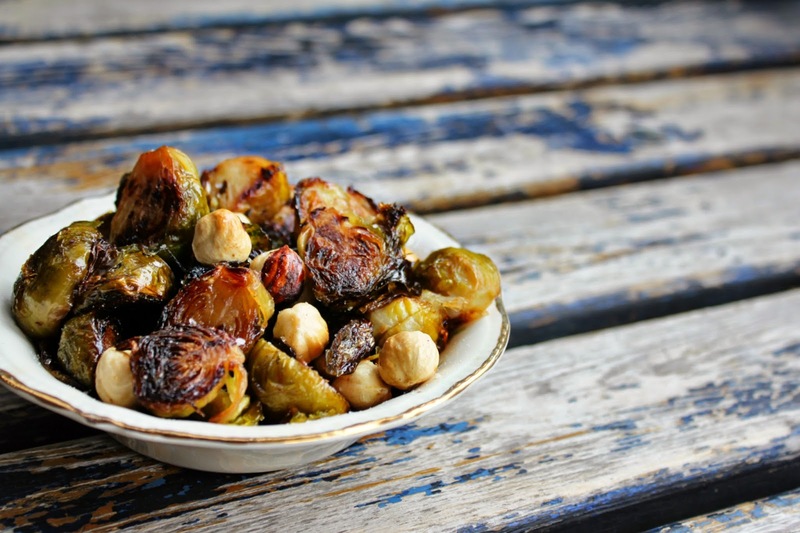 Put hazelnuts with the brussel sprouts and sprinkle with a bit of fresh sea salt and that's it! This is a show stopping side dish, or if you're anything like me - the main course. 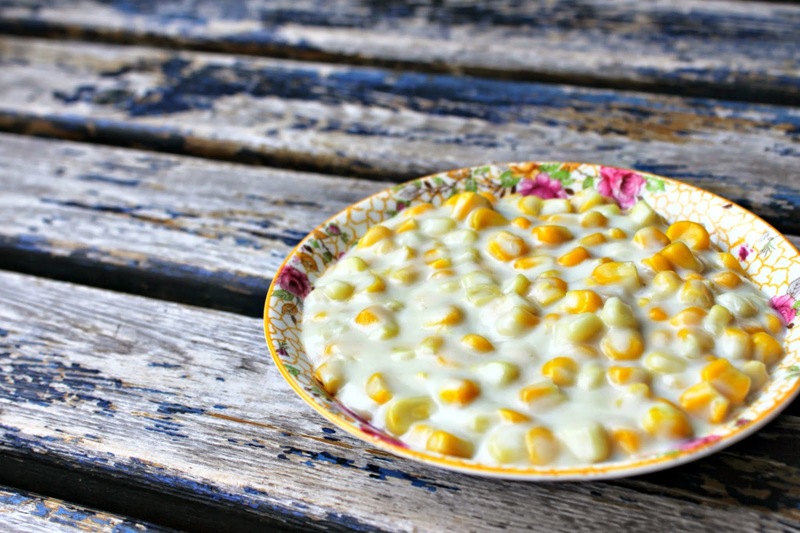 Vegan creamed corn..... better than my original recipe! 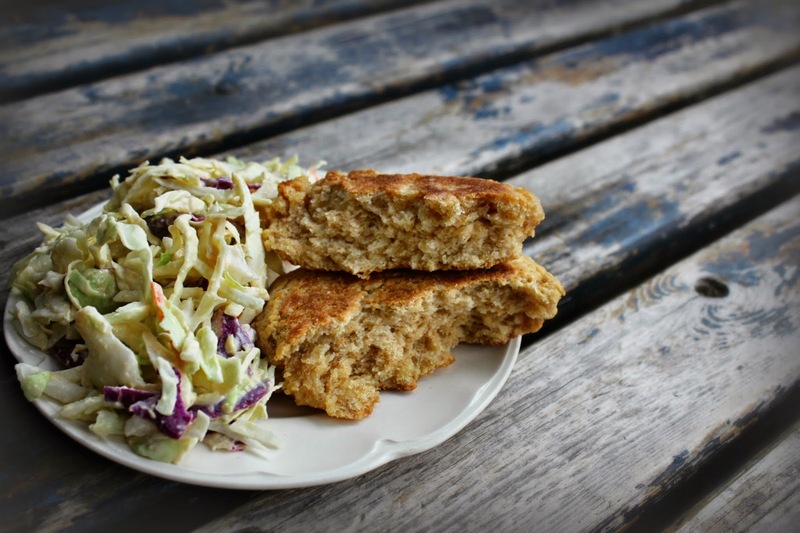 Pan baked biscuits and hummus coleslaw. I will share the rest of my vegan "Southern" feast recipes next week. Boy oh boy was this meal a treat. Every last bit was gobbled up, and what the kids left on their plates (which wasn't much) my husband and I cleaned off! Oh, I truly dislike Keanu. Unless it's Babes in Toyland Keanu - he's moderately acceptable because he's still a teenager and thus forgiven for his terrible acting. All that to say, I'm not a professional actor and he is - so maybe he knows something I don't. Wait, I don't even want to be a professional actor. Oh well, the brussel sprouts are bodacious.